Vue International has signed deals with Saudi partners to lift the curtain on cinemas after a 35-year ban amid a liberalization drive ushered by Crown Prince Mohamed Bin Salman. 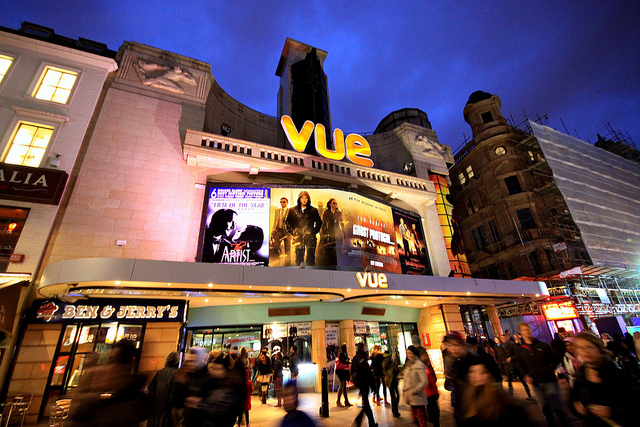 Vue International signed an exclusive preliminary agreement with the Abdulmohsin Al Hokair Holding real-estate group to jointly build up to 30 multiplexes in the country. Abdulmohsin Al Hokair Holding already operates three shopping centers, 79 entertainment centers and 45 hotels across Saudi Arabia, UAE, Turkey and Egypt. “This is a huge moment in the history of global cinema development for the exhibition industry and we are honored to be partnering with such a well-regarded and prestigious operator,” Tim Richards, founder and chief executive, Vue International, commented. Exact details of the joint venture are still being finalized but the first cinema could open doors this year. Saudi Arabia has lifted a 35-year ban on cinemas in one of the surprising social modernization decisions taken by Crown Prince Mohammed bin Salman. Saudi disposable income is set to lure in cinema giants to the Kingdom, presenting ideal opportunities for more premium cinema experiences. The Saudi Government estimates that the opening of movie theatres will contribute more than 90bn riyals to the economy and create more than 30,000 jobs by 2030. Written by: Jaber Ali on February 13, 2018. Posted by Jaber Ali on Feb 13 2018. Filed under Gulf News, Headlines. You can follow any responses to this entry through the RSS 2.0. Both comments and pings are currently closed.